Is Zack Snyder Directing Justice League? According to Screen Crush, director Ruben Fleischer may have let the cat out of the bag by revealing that Zack Snyder is directing the Justice League film. Rumours surrounding the Man of Steel helmer and whether he would direct Warner Bros.’ troubled project or not have been floating around for a while but this one seems to have some legitimacy to it, and here’s why. Firstly, Fleischer was actually in the running to direct at one point. In fact, he was the frontrunner for a while. 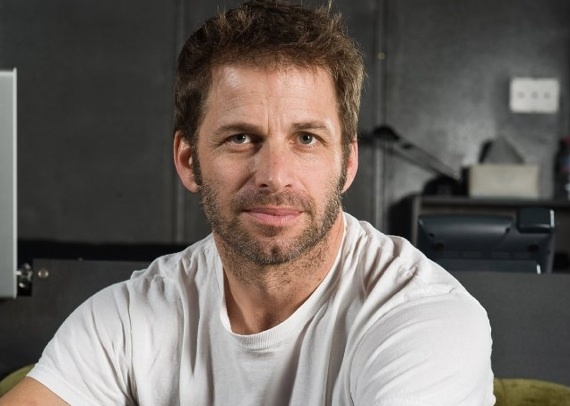 When asked while doing press for the Blu-Ray release of his latest film, Gangster Squad, if he was still hoping to direct, Fleischer replied with “Well that’s something that Zack Snyder is going to wind up doing.” Of course, this isn’t official confirmation and he may just be speculating or basing his reply off rumours he’s heard, but it could also turn out to be true. I mean, Snyder and Fleischer are friends but more importantly, Fleischer worked with Will Beall on Gangster Squad. Who’s Will Beall you ask? Will Beall is the name that is on the current script for Justice League, so there’s another point that lends some credence to this. Even putting all that aside, from what we’re hearing, Warner Bros. is pretty impressed with Snyder’s work on Man of Steel and the film is testing quite positively, so why not bring the director back for Justice League? We know they are having trouble getting the film off the ground so bringing Snyder in at this point could be a smart move. As of now though, consider this a rumor and nothing more. When we hear anything concrete we’ll let you know. In the meantime, head down to the comments section below and let us know if you want to see Zack Snyder direct the Justice League film.